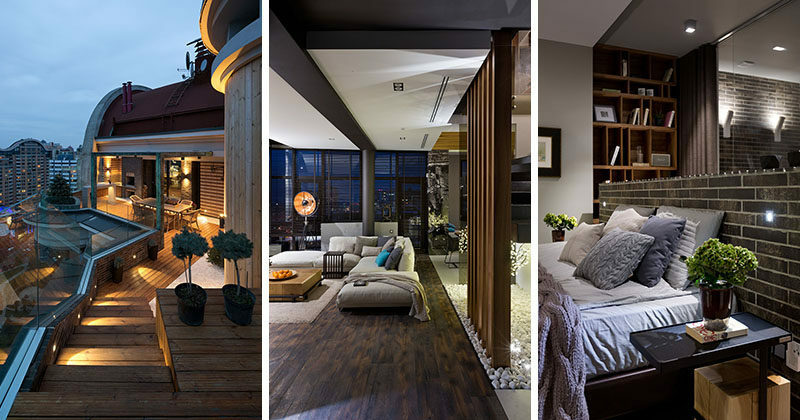 Natalia Oleksienko of Evolutionary Architecture has designed the interiors of a modern penthouse apartment in Kiev, Ukraine. Stepping inside, we see a living room with dark brick walls, wood floors, and a light colored couch. 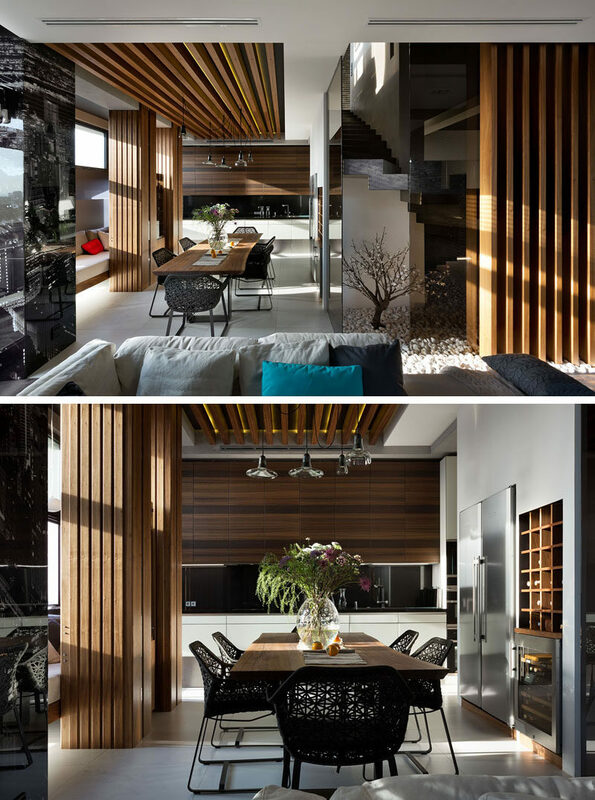 Next to the living room is the dining room with a wood dining table and ceiling feature. A built-in bench sits against the wall and at the end of the dining room is the kitchen. Just off the living room is access to multi-level terraces that are home to an outdoor dining area with pergola, a pool, a lounge and barbecue. Back inside and still on the main floor is the master bedroom. The bed sits against a dark brick pony wall that separates the sleeping area from the bathroom. A glass wall protects the rest of the bedroom from the master bathroom and at the same time allows light from the windows to travel throughout the room. In the bathroom, there’s a centrally positioned freestanding bathtub, while the shower sits behind the column and has views of the city. 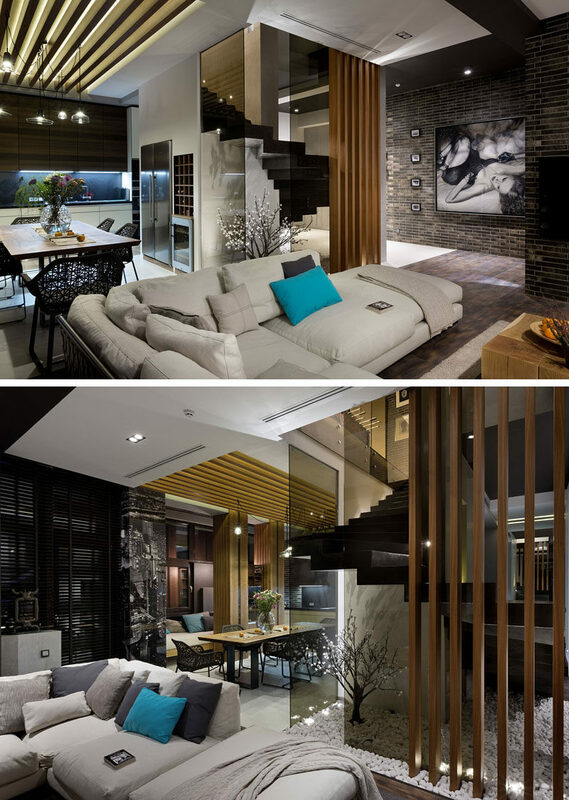 In the main living area of the apartment is a centrally located wood staircase that connects all three floors of the home. 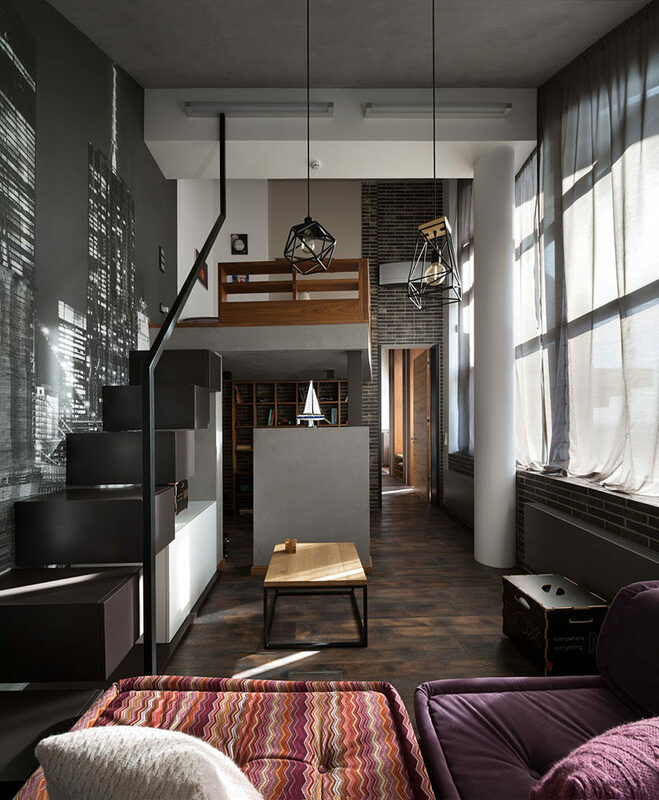 The other bedrooms in the apartment have small mezzanines that take advantage of the high ceilings. 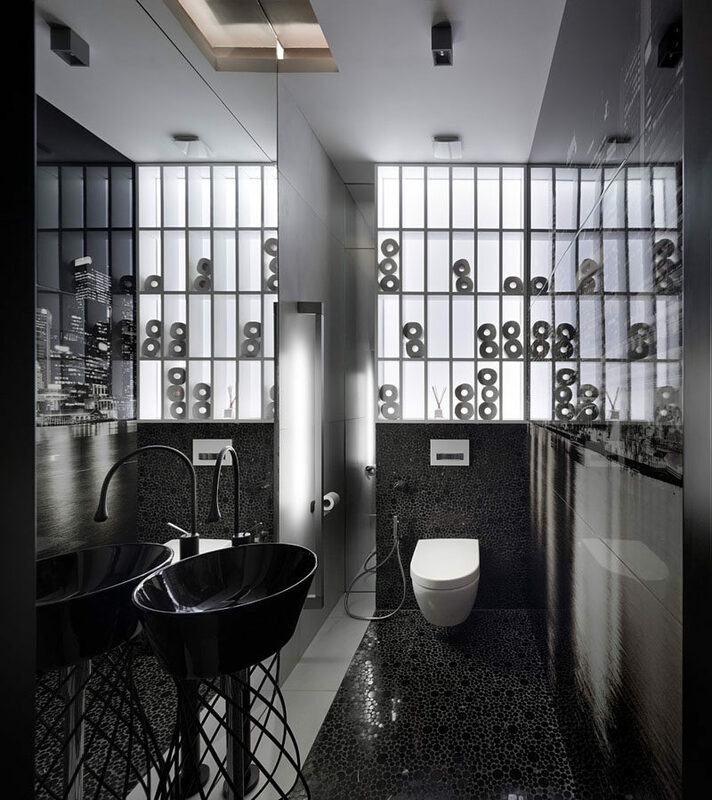 In this bathroom, black tiles and a black sink contrast the white shelving to create a modern appearance.